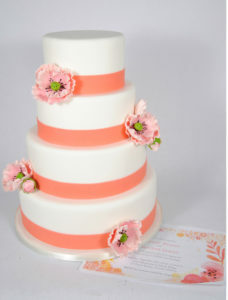 Some brides look through wedding magazines or search online and find cakes they like which they want to duplicate for their own wedding or change up slightly to suit their needs. 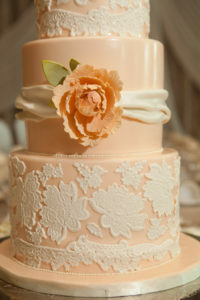 Other brides want a completely custom cake to reflect elements from their dress, flowers, venue or decor. Some things to look at in coming up with a design are your invitation, wedding dress, venue decor or your flowers. 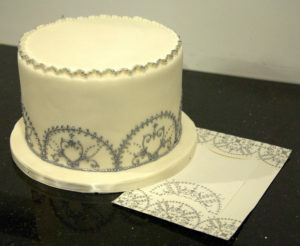 Is there a pattern from your invitations that could work as a trim or full print on a cake? 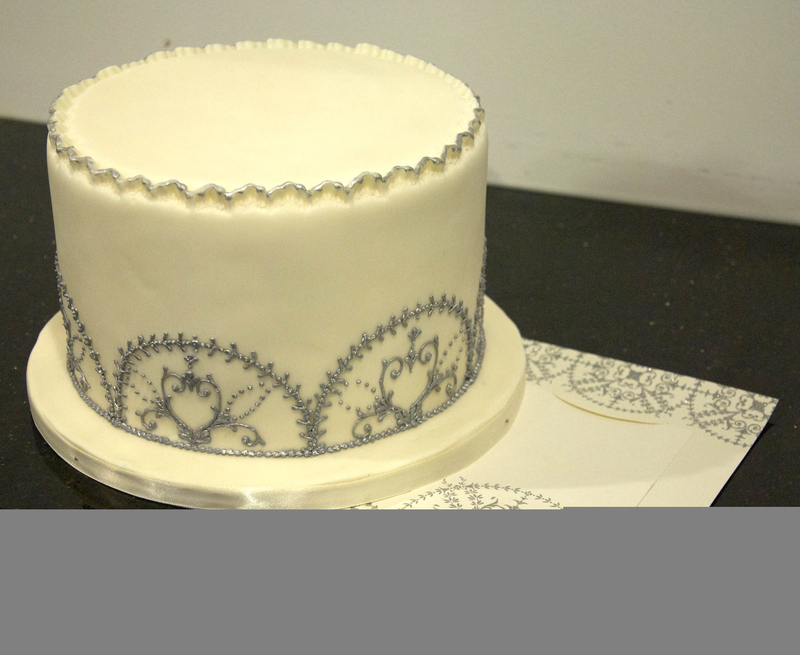 Does your wedding dress have lace or beading or even some pleating which could work into the cake design? What flowers are you using in your bouquet and centre pieces? Would those look nice as a bouquet on top of the cake or scattered between the tiers? 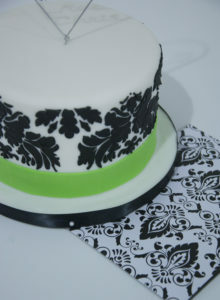 Do you have a monogram that you are using that could work on the front of your cake or as a cake topper? Are you using a theme throughout your wedding? Some couples go for Art Deco, Nautical, Las Vegas or shabby chic/country. 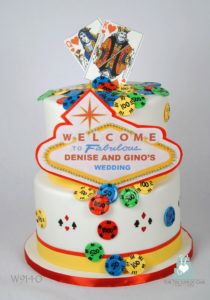 Some couples even like to incorporate where they got engaged into their cakes. 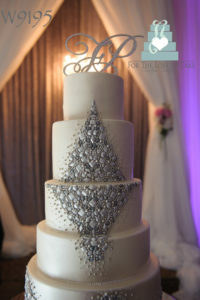 Here are some photos of custom wedding cakes we’ve done, some having the inspiration photographed with the cake.